After recent events in Paris and San Bernardino the world’s heightened awareness of possible terrorist attacks has been raised ever further. We have all heard about failed attempts to blow up airplanes by the “shoe bomber,” and the “underwear bomber,” and of course 9/11. We live in a world where fears of flying have increased, but it is not a unique feeling as is evidenced by Saul David’s new book OPERATION THUNDERBOLT: FLIGHT 139 AND THE RAID ON ENTEBBE AIRPORT, THE MOST AUDACIOUS HOSTAGE RESCUE MISSION IN HISTORY that recounts the hijacking of Air France’s Flight 139 on June 27, 1976 originating in Tel Aviv, with a stopover in Athens and a final destination in Paris. The flight spawned the Israeli rescue of 102 people out of an original total of 253 passengers and flight crew after the plane was diverted from Athens, where the hijackers boarded and forced the pilots to fly to Benghazi, Libya before proceeding to Entebbe Airport outside Kampala, Uganda. The reader should remember that the hijacking of Flight 139 was not an isolated event as the 1970s witnessed terror attacks across Britain and Ireland, as well as those related to the Middle East and Africa. At the time Uganda was led by the dictator Dr. Idi Amin Dada, a former paratrooper in the British army, who had come to power by a coup in 1971, and was in cahoots with the hijackers. Like today, the passengers of Flight 139 were quite aware of a possible terrorist attack if the plane stopped in Athens, but like most, they threw caution to the wind resulting in the Israeli raid and the death of four of the hostages, one Israeli commando, Yoni Netanyahu, the brother of current Israeli Prime Minister Benjamin Netanyahu, 45 Ugandan soldiers and the hijackers. The plane was seized by an offshoot of the Popular Front for the Liberation of Palestine (PFLP), a group that had pioneered the hijacking of airplanes as a means of striking Israel, which did not bode well for a passenger list dominated by Jews and Israelis. David present a day by day, and at times, hour by hour description of the hijacking allowing the reader to enter the mindset of the passengers as the plane was seized, flown to Entebbe, and their incarceration in the old terminal at the airport. We witness the feelings and emotions of the hostages as they were separated by Jews/Israelis and others, and as they dealt with the release of 40 hostages, then another 100 or so, leaving just Jews and Israelis to face their fate. The hostages go through many highs and lows during their detention and David provides many insights into how they tried to cope with their situation. David takes the reader inside the Israeli government as they debated their response to terrorist demands for the release of 53 prisoners, 40 of which were held in Israel and other countries. What emerges is a major disagreement between Israeli Prime Minister Yitzhak Rabin, who favored negotiations with the terrorists if a military response was not available, and Defense Minister Shimon Peres, who advocated for a rescue mission and no negotiations. Rabin was placed in a quandary because he wanted to limit concessions but there was a precedent for a prisoner swap dating back to the Yom Kippur War when Israel traded imprisoned terrorists for Israeli war corpses. Feeling the pressure of the hostage’s families, how could Israel not trade prisoners for people that were alive? David presents a detailed description of how the Israeli intelligence community and military ferreted out information and went about planning the rescue mission. We meet a number of important characters led by Major Muki Bester, the head of Sayeret Matkal (the Unit), Israel’s most efficient reconnaissance unit that had previously trained Ugandan soldiers, Yoni Netanyahu, the Unit commander, Brigadier-General Dan Shomron, one of the major architects of the rescue, Lieutenant-Colonel Ehud Barak, another Unit commander and future Prime Minister of Israel among numerous others. 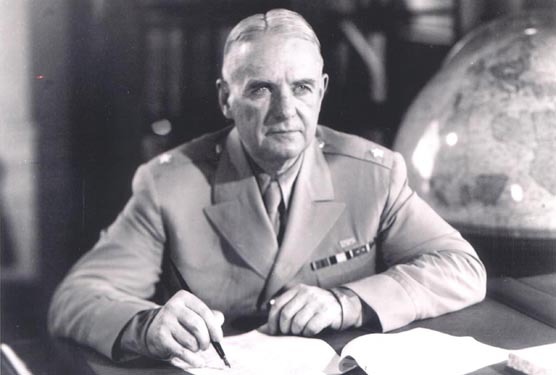 The major problem that military planners faced was refueling. The Hercules C-130 airplanes needed to refuel because of the distance between Israel and Kampala, in addition, the weight of equipment and soldiers made it impossible for the planes to fly roundtrip. After a few tense days, the Kenyan government agreed to allow the Israeli planes to refuel in Nairobi because the Mossad, Israel’s intelligence arm had foiled an attempted shoot down of an El Al airliner over Nairobi Airport, and their desire to get even with Amin who was smuggling weapons across the Kenyan-Ugandan border. The key to the crisis came on July 2 when Amin, who enjoyed the attention, announced that the deadline for a decision regarding the prisoner swap would be extended three days while he chaired a meeting of the Organization of African Unity in Mauritius. This gave the Israeli military a window to plan, train, and implement a rescue attempt. David provides an almost minute by minute account of the raid from takeoff in Sharm el-Sheik at Israel’s southern tip all the way to Entebbe. As the first Hercules landed things did not go as planned as Netanyahu insisted on taking out two Ugandan sentries, thus forgoing the element of surprise. However, the IDF was able to improvise, and in the end the raid was an overall success. All the terrorists were killed, as were numerous Ugandan soldiers, but with five casualties, including a number of wounded. Once the hostages were secure as part of their agreement with the Kenyan government the Israelis destroyed 11 Soviet Migs of the Ugandan air force parked in front of the old terminal as a concession to the Kenyan government for its cooperation. Once the planes landed in Nairobi, they were refueled and the wounded were taken care of. David provides an aftermath explaining to the reader some of the interesting ramifications of the rescue operation. As one could have been expected the United Nations condemned Zionist aggression. Idi Amin had Dora Bloch, an elderly hostage who had been hospitalized and was not freed, was murdered by Amin in an act of revenge. The French worried about their position in Africa and the Arab world remained very subdued in its public statements following the operation. 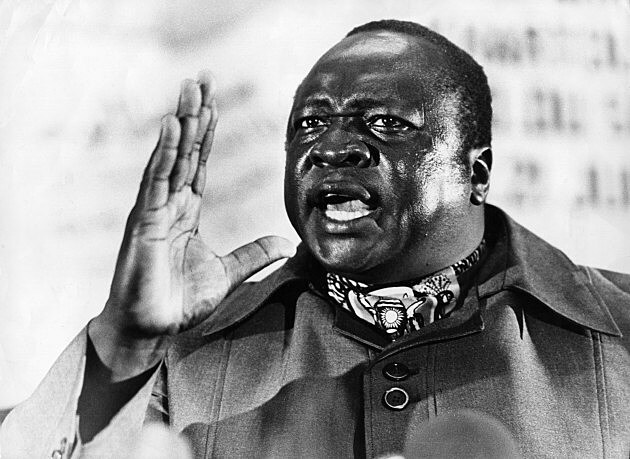 Idi Amin was overthrown in 1979 and was provided with a “golden parachute” by the Saudi Arabian government. Lastly, and most importantly it showed the world what could be done to stop terrorism, and a number of western countries developed their own version of the Unit. 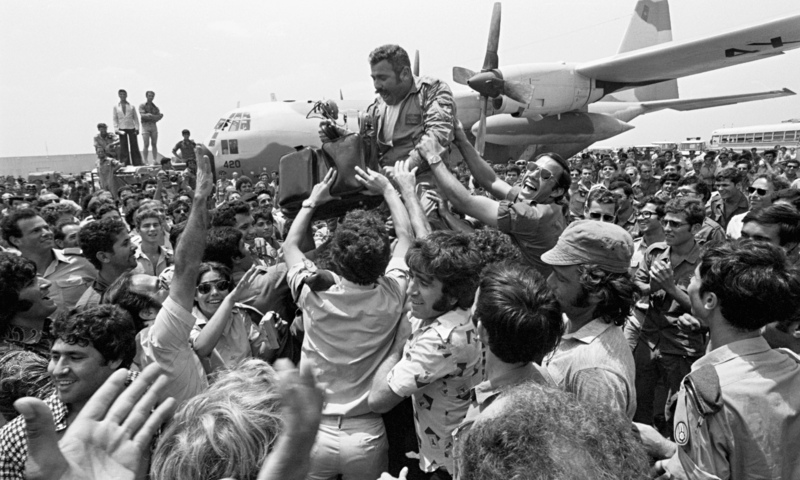 Although the Entebbe raid has been explored by many books, three full length movies, and a number of documentaries, military historian, Saul David has written an engrossing narrative that encapsulates all aspects of the seizure and raid. 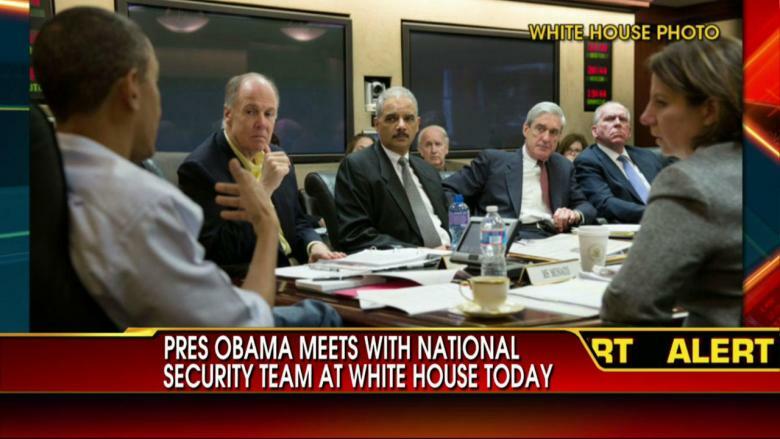 David interviewed numerous hostages and has full command of government sources and other materials. The result is a carefully constructed book that reads like fiction. The problem is that it is a true story that hopefully will not be repeated in our current climate of fear and terrorist operatives. 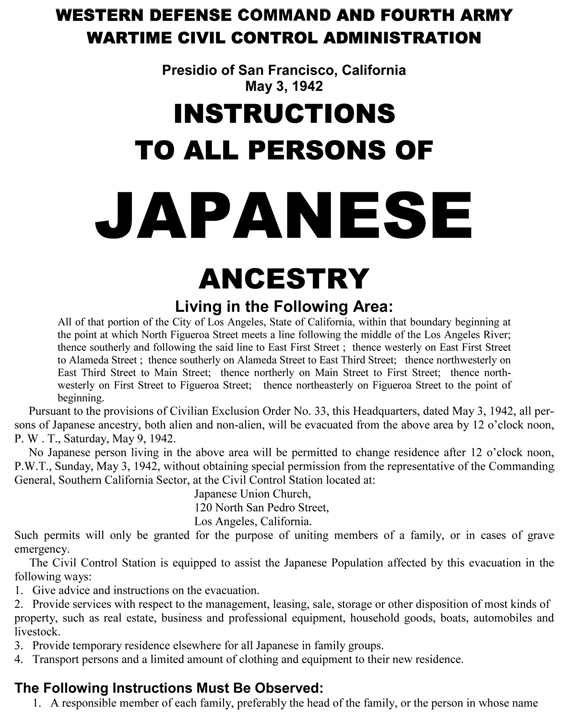 At a time when Donald Trump harangues the American electorate with his views on prohibiting Muslims from entering the United States in reaction to the horrific attack in San Bernardino, CA we find the Republican candidate as well as political pundits pointing to Franklin D. Roosevelt’s Executive Order 9066 which created “internment camps” for American Japanese during World War II. If we are to accept what Trump says, then FDR’s actions set a precedent for going against the freedom of religion amendment to the United States Constitution. With the repeated reference to the plight of American Japanese during the war on cable and network news it is propitious that veteran journalist and biographer, Richard Reeves’ latest book, Infamy: The Shocking Story of the Japanese Internment in World War II has recently been published. The story that Reeves unveils was not a shining moment for the United States, a moment that saw the US government wait decades to apologize for, and make somewhat of a restitution (in 1988 President Reagan signed a bill paying each living survivor of the camps $20,000). Having visited the Heart Mountain Japanese Internment camp, located outside Cody, WY this past summer I find Reeves’ approach to his topic, providing a window into what life was like for the victims of America’s racist and xenophobic policy towards its own citizens extremely important. The author bases the core of the book on the stories of the evacuated families who “were caught between those heroes and villians” who either used the situation for their own political or economic agendas or those whose values were repulsed, who spoke out against what was occurring. From Reeves’ account the reader is introduced to a number of American Japanese families as they react to the bombing of Pearl Harbor and the government’s actions against them. First, they must deal with “white” anger that is visited upon them through violent acts and destruction of their property. Second, after FDR issues the executive order, they are rounded up by the military and police and are sent to assembly camps for a few months until the government could build the camps that eventually would house 120, 313 inmates. Reeves’ is correct as he develops the political process that led to the executive order, in that, as he did with America’s response to the Holocaust, FDR wanted to separate himself as much as possible from the final decision delegating responsibility to American military officials rather than taking a public role himself. Once the ten camps were built between March and October, 1942, the inmates were moved and families had to live in barracks with no plumbing. Reeves’ describes in detail the effect on American Japanese families; loss of dignity, loss of property, loss of self-identity, and of course loss of civil rights. Reeves has mined memoirs, documents, and conducted numerous interviews in creating an accurate narrative of what actually happened in the camps, events leading up to internment, and what the inmates experienced following their release. What drove the policy was fear and greed. Fear of a possible Japanese invasion of the West Coast, a fear that should have disappeared after the Battle of Midway in June, 1942 when the damage to the Japanese fleet was such that they could no longer threaten the West Coast. A part from fear, was greed; as California businessmen, fisherman, and farmers resented their American Japanese, and as Reeves describes saw an opportunity to seize property and profits once internment began. Greed also motivated regular citizens as American Japanese were forced to sell their property and possessions at ridiculously low prices when they were given only 48 hours to get ready, and were told they could only bring what they could carry. The conditions at the outset were abhorrent as the government was not prepared to receive so many inmates. 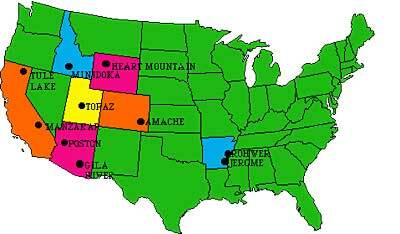 At the outset they were sent to race tracks, fairgrounds, and livestock auction sites until camps could be built. The description of the constant odor of horse manure and urine reflects how American Japanese citizens were treated. The program was instituted to prevent a “fifth column” of Japanese from hurting the war effort, but as historians have found, none ever existed. To the credit of the inmates they did their best to show what patriotic Americans they were by dutifully responding to government orders, and peacefully cooperating as they were being rounded up and dispatched to camps. One of the most interesting facets of the book is Reeves’ description of how the inmates did their best to make a bad situation better as part of their contribution to the war effort. They created a “small town” atmosphere in the camps by developing hospitals, schools, movie theaters, to improve their situation. No matter how ill-treated the inmates were, they tried to respond positively and make as little trouble as possible. There were dissenters, and Reeves describes the law suits and legal battles that led to Supreme Court to uphold the constitutionality of FDR’s order. Even a civil libertarian justice like William O. Douglas supported internment. Importantly, Reeves explores the role of the American Japanese who were either born in the US, the Nisei, and the Kibei, those born in the US, educated in Japan and had returned. The US military had a tremendous need for Japanese linguists and the role American Japanese played in the war in the Pacific was extremely important. The linguists were used as interrogators, “cave flushers,” (men who went into the caves that Japanese soldiers had hidden in during island warfare and tried to convince them to surrender), combat, and other areas. Perhaps their most important contribution to the war effort was in military intelligence. The Japanese government felt that their language was so difficult that it was impenetrable. As a result their codes were halfheartedly developed allowing the US to break them resulting in the victory at Midway, the death of Pacific Commander Admiral Isoroku Yamamoto, the man who developed the plan and carried out the bombing of Pearl Harbor, and a number of other important victories. Historians agree with Reeves that the intelligence contributions of these American Japanese saved American lives and perhaps shortened the war. Another major contribution by American Japanese was as soldiers as the war progressed. By 1943 they were seen as a solution to some manpower issues and the government began to encourage enlistment and later a draft. Inmates were hesitant because of how they and their families were treated, in addition to the loyalty oaths they were expected to sign. In all, 25,778 Nisei served in the military during World War II, roughly 13,500 from the mainland and the remainder from Hawaii. Of that figure 18, 143 received combat decorations. Between the 442nd Regimental Combat Team that excelled in northern Italy and France, success as pilots, and their intelligence work, they made an important contribution to the war effort despite how they were despised by so many. Another area that stands out is Reeves’ discussion as to how the inmates reacted once they were finally released. Many felt they had nowhere to go as they realized returning to their homes and businesses on the West Coast was very problematical. Others, mostly elderly, did not want to leave because they had settled into camp life, and the fact that housing, food, and comradeship were provided, as over time they began to feel more secure. As Reeves accurately perceives it became “assisted living” for many. Reeves does a remarkable job describing the experiences of the inmates who tried to return to the West Coast after the war, finding their property was destroyed or stolen, and being brought face to face with the remnants of the racism that had led to their incarceration. It is interesting to note that 88% of American Japanese lived on the West Coast before the war, and after the war it declined to 70%, in a sense following FDR’s goal that the former inmates would be scattered throughout the United States after the war to avoid trouble. 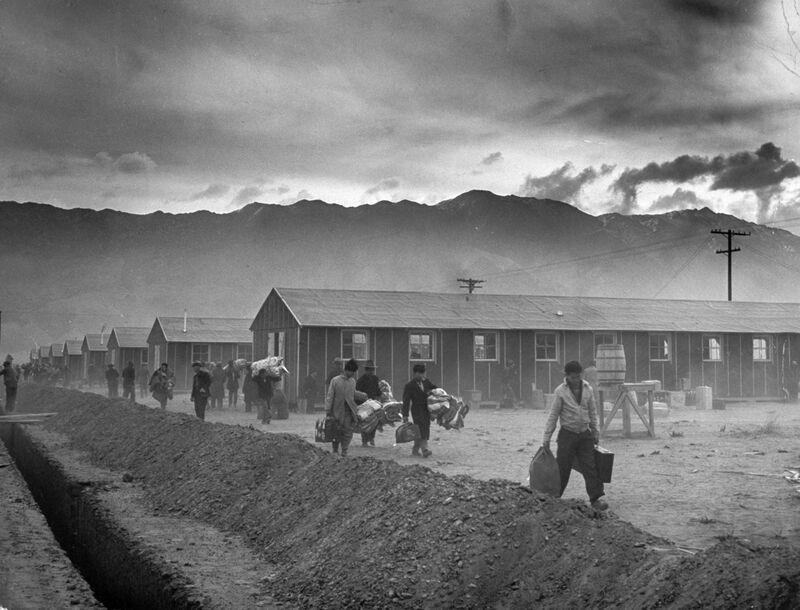 It is important to note that six weeks after FDR’s reelection on December 18, 1944 the Supreme Court ruled that the government and the army acted constitutionally when it came to mass detention in the Korematsu case. The day before the decision came down the government released everyone from the camps. Interestingly, that decision had been reached a year before, but as usual for FDR, politics came first, and he would not allow the release until after his reelection. The decision itself was predicated on a 6-3 vote supporting the mass incarceration. 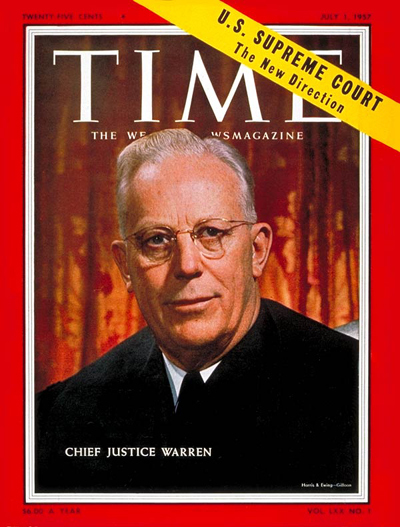 Writing in dissent, Justice Frank Murphey wrote that the decision is a “legalization of racism, all residents of this nation are kin and in some way by blood and culture to a foreign land. Yet they are primarily and necessarily a part of a new civilization of the United States. They must be treated at all times as the heirs of the American experiment and as entitled to all of the rights and freedoms granted by the Constitution…Such exclusion goes over the very brink of constitutional power and falls into the ugly abyss of racism.” Perhaps Donald Trump should read this dissenting opinion, and Reeves splendid book before spewing his seemingly constant racist remarks. In his sixth installment of the adventures of Department Q, Jussi Adler-Olsen presents his main protagonist in the series, the incorrigible detective, Carl Morck with a very unusual case. The Hanging Girl centers around the obsession of Sergeant Christian Haberstaat, a detective on the island of Borholm in Denmark. It seems that almost two decades ago, Haberstaat found the body of a young lady, hanging from a tree branch, in what appeared to be a hit and run accident. Haberstaat could not accept that outcome and spent years investigating what he knew was murder, sacrificing his own family and ending his marriage. 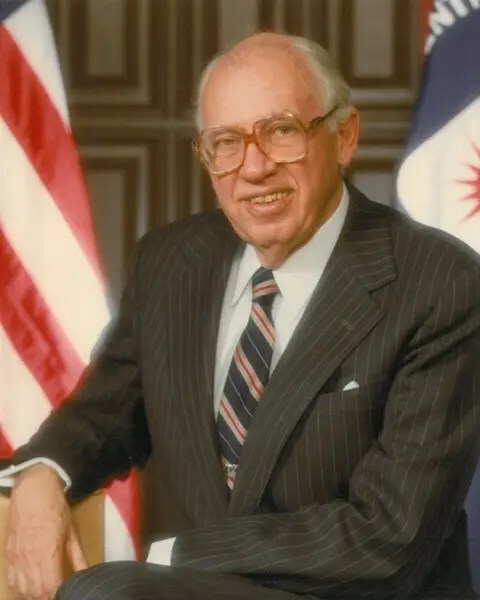 Right before his retirement party Haberstaat reached out to Morck, a former colleague, for help leaving the message, “Department Q was his last hope,” which Morck ignored. At the retirement party, Haberstaat, again obsessed about the long forgotten murder, took out a revolver and committed suicide. Morck, Rose, and Assad, his trusted colleagues in Department Q head to the island of Bornholm to investigate the original accident and determine whether in fact Haberstaat’s conclusion was accurate. Upon arriving in Bornholm a number of important things occur. First, the police really do not want to revisit the case, second, Haberstaat’s son, now thirty-five years old commits suicide, and thirdly, his ex-wife is still bitter and blames her ex-husband for her ruined life. Once Adler-Olsen has set the stage for the novel, the plot line moves smoothly and immediately catches the interest of the reader as all the previous Department Q novels have done. Adler-Olsen also develops a parallel plot that involves a cult figure named Atu Abanshamash Dumuzi who heads a guru type of spiritual school called the Nature Absorption Academy that recruit’s both woman, and to a lesser extent men. One in particular emerges as very important, Wanda Phinn, a divorced former Jamaican long distance runner who was living in London and is recruited by Atu to come live on the island of Oland in Sweden. It turns out that another woman, Pirjo, who has been working with Atu for twenty years and is very protective of him, creates an environment where any woman who she deems a threat to her position will encounter grave difficulties. As the story evolves, Adler-Olsen integrates the latest member of Department Q, Gordon into the mix of those trying to figure out what happened to the victim that Haberstaat had tried to uncover for so many years. Gordon, according to Morck was thrust on the group by the new Chief of Homicide, Lars Bjorn, a former colleague that Morck had clashed with many times in the past and who exiled Department Q’s offices into the basement of Police Headquarters. It is interesting to speculate about the murder victim, Alberta Goldschmid, who grew up as an orthodox Jew, limited by a kosher diet and strict parents. Alberta was a beautiful young lady who drew the attention of all the boys at the Folk High School, creating extreme jealousy and hatred on the part of numerous girls toward her. It is interesting how Adler-Olsen is able to take the two major strands of the novel and bring them together. We witness good police work, an exploration of the word of the occult, and Morck’s personal demons all interacting. 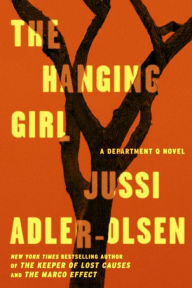 The Hanging Girl, though a strong novel in of itself, it does not measure up to Adler-Olsen’s previous work. For example, the storyline is too drawn out. The novel starts out strong by drawing the reader in and about a third of the way, the author seems to get bogged down in certain details that become monotonous. However, Adler-Olsen recovers to provide a fascinating ending that will keep the reader glued to the narrative for the last fifty pages of the book. The inclusion of the new member of the team, Gordon is not very consequential and does not bring anything to the table. Lastly, Adler-Olsen repeatedly returns to aspects of previous novels in the series without providing enough background for the reader to understand. It would have helped if Adler-Olsen would have provided a little more information, particularly when he tries to integrate Morck’s relations with his ex-wife and girlfriends, the shooting that took place seven years earlier that resulted in paralyzing his colleague and his own injury, and why his relationship with Lars Bjorn is so poor. On a more positive note, Adler-Olsen continues to develop the character of Assad in a very meaningful way. We learn further about his past life as a member of the secret police in Syria, and his character is still used as a vehicle to quash stereotypes concerning the Muslim world, including his past family life. The growth of his relationship with Morck is also poignant, and their constant banter back and forth is a highlight of the book. Adler-Olsen leaves us a nugget concerning Assad in that his real name might be “Said,” and this could be a building block for future novels. Though the novel is somewhat strong in its own case, it has certain limitations, and does not measure up to the previous entries in the series. One caveat, if you are a fan of Adler-Olsen, as I am, you will give him a pass, and hopefully when book number seven appears in the series it will return to its usual quality.